Home Nails DOTTY HEART NAIL ART | PASTEL | COLOURBLIND TEST! Dotty Heart Nail Art – This design was a hugely popular one in my salon, not just at Valentines, but all year round. It’s really simple and easy, but the effect is so striking and you can change the colour scheme or add glitter to the nails to suit your preferences. It can also be easily achieved with both traditional nail polish and also gel polish. You can substitute any of the colours or products for something that you already have, but if you do want to create the design identically, then there is a full list of products below that you can click on and take you to where you can purchase them. 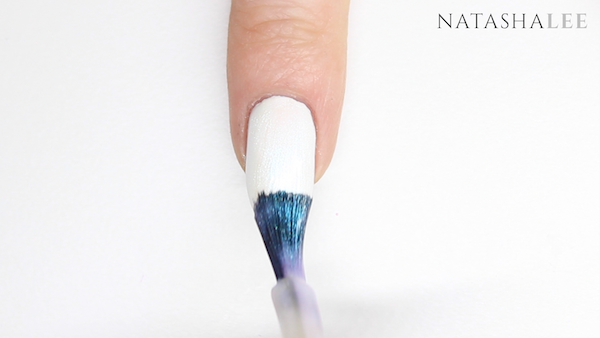 As always, begin by performing a manicure, cleansing your nails and applying base coat to all 10 nails. I have a blog here that shows you how to perform a professional style manicure at home. Now we are going to apply a different colour to each nail on one hand. On your thumb apply a coat of Essie’s Blossom Dandy, on your index finger apply CND’s Beckoning Begonia, on your middle finger apply OPI’s Alpine Snow, on your ring finger apply OPI’s Look At My Bow and finally on your little finger apply CND’s Creekside. Apply a second corresponding colour to all 10 nails. Don’t worry if you get any polish on the skin, simply dip a chisel brush is nail polish remover or pure acetone to tidy up any mistakes. 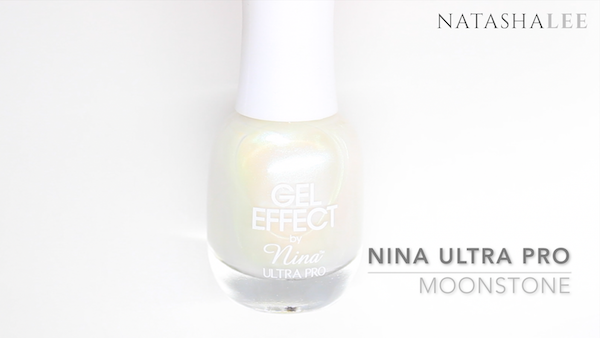 On your white middle finger, apply a shimmery coat of a polish like Nina Ultra Pro in Moonstone. This is just to add a little extra dimension to the design. On your little finger take your white polish (I’m using OPI’s Alpine Snow) and a medium/fine dotting tool, apply dots equal distance apart to form a nice pattern. If you need some help achieving this then there’s a video tutorial at the top of the page. Next we are going to use the colours that we have already applied to our nails, plus CND Crushed Rose and CND Sun Bleached. Using the finest pointed dotting tool, mark on your middle nail where you want the bottom point of the heart to finish, and the dip at the top of the heart (the polish should only be soft enough for the tool to leave a slight pinprick mark. Then mark where you want the highest arches of the heart to be. Use these mark to create a pinprick outline for the heart. Now to create your dotty heart nail art it’s simply time to fill the outline that you have created using all of your different colours using different sized dotting tools. You may find it easier to start with the largest sized dotting tools and finally finish the shape with your finest dotting tools. 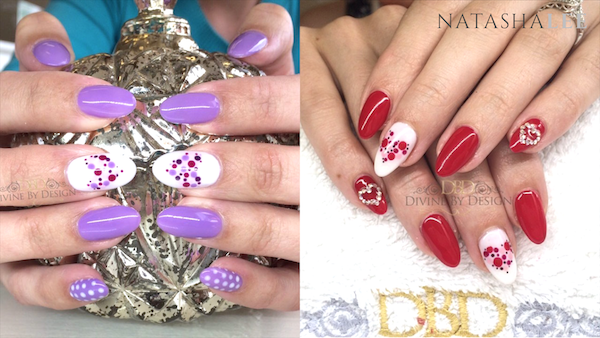 Once you’ve completed your dotty heart nail art design, then it’s time to finish off the design with a generous layer of top coat. 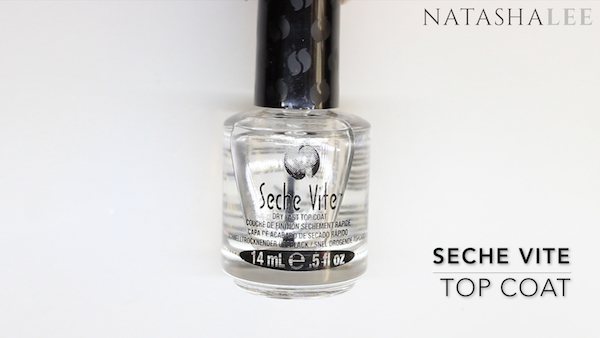 My favourite is Seche Vite. 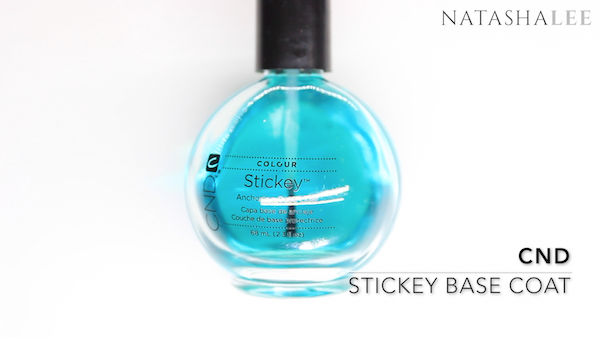 Finalise the look with a slick of cuticle oil, I like the NailsInc vitamin E oil pen. And here’s your finished dotty heart nail art design!! I love how easy this design is to achieve yet it’s really striking! You can change the colour combination to whatever you prefer and I think this would look great with metallics and monochrome! Let me know if you give this or any other of my designs ago by tagging #NatashaLeeBlogger. Next articleThe Truth about Semi Permanent/Tattooed Eyebrows?